When it comes to CMS comparisons between the popular content management systems, 'Out of the box SEO Capabilities' are always a very important factor. Now for those who have used Joomla! know that Joomla's SEO capabilities have steadily improved over the years and the new router in Joomla 3.8 takes it up several levels. 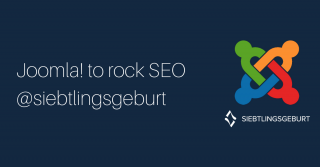 To prove Joomla's mettle in this areas, the Joomla Optimisation team has decided to enter the SEO Contest 'Siebtlingsgeburt' by SEO-Day in Germany (Cologne). It involves an imaginary keyword 'siebtlingsgeburt' which means seven births. We thank the enthusiastic and talented bunch of designers, coders, storytellers, translators who are working to make this happen ! They recently reached out to us and asked us for a little help in their mission to 'Help Captain Joomla save the 7 cute puppies from being killed by “Glatzkröte” (bald toad)' . To make this happen, we are reaching out to you, our community. We need to get as many people as we can linking and visiting the below link. I'd suggest you go there right away, it is a very interesting read ! In a nutshell, here is how you can help. Visit the Siebtlingsgeburt link and tell your friends to do so too ! 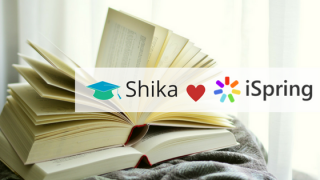 We are happy to announce that Shika now has official support for iSpring SCORM content. Shika developers and technical experts at iSpring recently conducted compatibility tests to ensure that iSpring content works well with Shika. Authoring good quality SCORM content can be a long and exhausting process. iSpring makes this a breeze ! With iSpring’s suite of authoring tools, you can turn your PowerPoint presentations into supercharged e-courses in a snap. iSpring authoring tools not only preserve animations, triggers and timings of PowerPoint presentations but also allow to enhance them with different types of interactive activities. iSpring TalkMaster allows you to design interactive dialogue simulations to train your employees' communication skills in a safe environment. With iSpring QuizMaker, creating interactive quizzes is faster and easier than ever before, thanks to the new visual question editing mode. iSpring Cam, records “how to” tutorials and inserts them into your courses or publishes them directly to your YouTube channel. 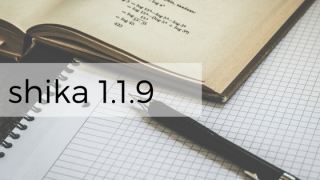 We are happy to announce the release of Shika 1.1.9 which is a feature and maintenance release. We have consciously made a decision to do releases in the 1.1x series that move away from the ideal principle of semantic versioning in order to fill feature gaps in the 1.1x series before embarking on the next true major release which will be 1.2. So expect to see more feature releases in the 1.1x branch that make the extension more solid and enterprise ready. This release introduces a new feature that has been a horizontal extension for Techjoomla but wasn't released as yet - com_hierarchy. This lets you set context specific hierarchy relations between users. The utilisation for this is mainly to set training managers for users. These 'Managers' shall be able to assign & enrol courses to users under them from the frontend with the new Assignment workflow that is also released in this version. This is also a dependency to our migration to TJ reports which will allow for features like Teacher reports and Manager reports in v1.1.10. Besides this major feature, we have also introduced a configuration for Certificate orientation & introduced a spent time column in the attempts view on the frontend. We are happy to bring you Shika 1.1.7 with some usability enhancements, improvements in permission handling & some bug fixes. We now auto create the first module when you create a new course. There are now finer grained permissions for intra course operations - in this case Manage training material.We recommend you upgrade as soon as possible ! While our team works on the big and beautiful JTicketing 2.0, we bring you an interim update in version 1.9 with PHP 7.1 compatibility, a better URL router as well as improvements in field based advanced filtering with TJ Fields integration. Besides this we have fixed quite a few bug fixes and added a default Zoom value for the Google Map display on the event details view. Read on for the complete change log. JTicketing 2.0 will be a major release with a brand new UI & will be rewritten from scratch. Also note that JTicketing 2.0 will drop Bootstrap 2 support so prepare accordingly for the same ! The latest major release for Shika, our Learning management system (LMS) for Joomla - version 1.1 introduced 20+ new features and a host of bug fixes and improvements. While we continue to improve on the 1.1x release with minor release, development on the next major release has already started ! Read on to see what you can expect in the next major release - version 1.2. 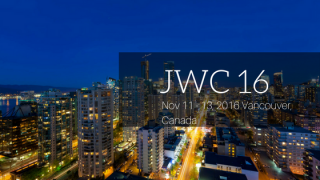 Over the years, 2 conferences have become the mecca for Joomla users worldwide. The J&Beyond Conference that happens around the middle of the year in Europe and the Joomla World conference which happens in November and since the last 2 years has been travelling the world with the latest editions being held in India last year. As with last year, Techjoomla is a proud sponsor to the event. As one of the benefits, we get a super discount to share with our followers. So if you have not got a ticket yet, use the following discount code to get a full 100$ off on the ticket price ! Shika 1.0.8 has been released with some critical bug fixes. We encourage updating as soon as possible. While the team gears up for the next Alpha release of 1.1 and move steadily towards a feature rich stable release, we are continuing to do minor releases of the 1.0 branch and ensure you get a rock stable version of Shilka. 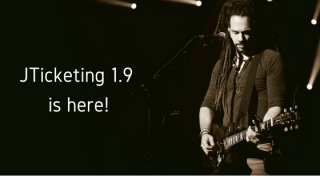 If you are not using the most ground breaking LMS in the Joomla space yet, get onboard now ! For the complete changelog, read on. 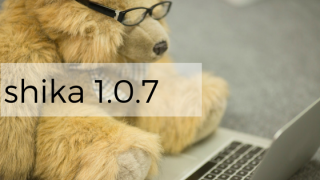 We are happy to announce the release of Shika 1.0.7. This is a maintenance release and fixes some bugs in the previous version. We suggest upgrading to the latest release. The release is available in the downloads area. Click on read more for the full changelog. 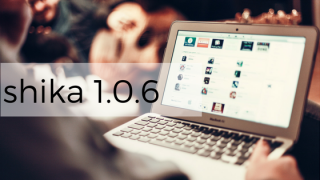 We are happy to announce the release of Shika 1.0.6. This is a maintenance release and fixes some bugs in the previous versions. We have also solved the package size issue in v1.0.5. Its that time of the year again when you vote for your favorite CMS at the CMS Critic Awards! 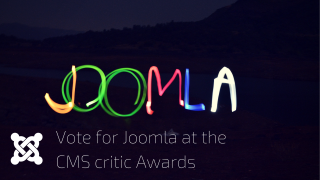 A regular at the Awards Joomla has made it once again and has been nominated under the "Best Free CMS" category. Lets show our love and make Joomla a winner again this year! Head over to the Awards Page and cast your vote today! 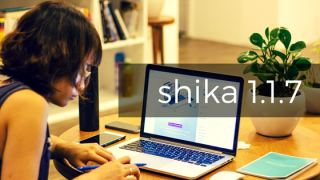 We are happy to announce the release of a new version of Shika. As announced earlier, we are following a parallel release strategy allowing us to keep working on new features that a lot of users are asking for while maintaining a stable branch with regular updates & faster updates. In this release of the 1.0.X branch we bring you new set of bug fixes. Subscribers are encouraged to update immediately. Please read on to for the complete change log. 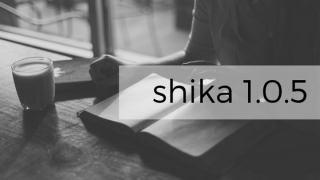 We are glad to announce the release of Shika 1.0.4. In this release we have fixed over 40 bugs in the maintenance branch. We have also introduced quite a few usability improvements. We have introduced a Ajax based export for CSV to allow exporting large volumes of data. Currently only supported in the attempt report, in future versions the same will be made available for all exports. Current subscribers can download the new release immediately. It gives us immense pleasure to report that Joomla Day Bangalore has been received really well by the community there. Techjoomla was a sponsor at the Event and Parth Lawate our CEO presented the opening Keynote on ‘The Spirit of Open Source’. Here is a blog from him with updates from the Event. JUG Bangalore was one of the Joomla user groups that was initiated as part of the outreach campaign before the Joomla World conference that happened there in November 2015 and I was lucky to have helped initiate the same with Puneet Kala & Saurabh Shah early last year. I remember the kick off meeting where it was the 3 of us who attended the meeting ! Today their meetup group is 450+ people and the core group meets regularly. The speed with which they have grown & matured in the last 9 months is really amazing. If you are in Bangalore and want to be part of this awesome group, here is their Facebook page & Official User group page. The 2 months since the release of Shika 1.0 have been an amazing time. Thank you everyone that has supported Shika either as Early Adopters or through words of encouragement via the comments, forum posts and Social channels. 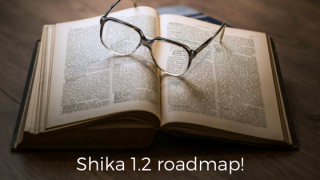 We had published a Roadmap for version 1.1 of Shika on 22nd March. However, there have been some changes in the feature list and hence the schedule of this release. In this blog I'll take you through what's coming. Since the release of version 1.0x we now have separate teams working on parallel release tracks as below. Earlier today Joomla 3.5 stable was released by the Joomla Production leadership team. This marks a major milestone in the Joomla 3X series. This release adds quite a few new features and solves a significant number of bugs. PHP 7 Support, Update Notifications via Email, System Information Export, Drag & Drop Images are just some of the cool features that have been introduced in this release. The most significant of these in my opinion is the PHP7 support. PHP 7 was released in November last year and introduced some major performance improvements. This is the biggest PHP release since PHP5. Not using the native Joomla Update mechanism could be a Major security issue as newer Joomla users are seen to be relying more and more on the active method to keep track of updates. Not having the latest version of extensions can be a major security issue as users might keep using old insecure versions without knowing that a new update has been released. Newer Joomla users are very much a Joomla 3 generation. They trust the update mechanism to tell them about all new updates in Joomla core as well as extensions. With Joomla 2.5 EOL happening months ago, this throws some really good insight into new user behavior and Joomla extension developers need to adapt quickly to risk of being left behind.